Our interest is in mental health and wellbeing. The companys activities provide benefit to people within East Anglia needing low cost psychological therapies to improve their mental wellbeing. The company also provides opportunities for therapists to achieve professional accreditation. To meet these aims, we offer a wide range of services to the private, public and voluntary sector from commercial mental health consultancy to Acorn, our low cost counselling service. Our on-line bookshop provides an extensive range of general books as well as those specifically related to mental health and wellbeing. E books and audio books are also available. Profits from the sale of all books are re-invested into our social aim of providing low-cost counselling services. So for every book purchased by you, someone will be helped! We provide a range of therapies which are designed to offer support and treatment for a wide variety of conditions such as; Anxiety, Depression, Stress, Addiction, Eating Disorders, Obsessive Compulsive Disorder, Fears and Phobias, Bereavement, Relationship Issues, Family Crisis, Trauma or Anger Management. We also offer support to people with complex needs. Our Clinical Psychologist Dr Richard Young, offers a range of psychological techniques and treatments to help clients with physical or mental disorders, particularly stress and the after effects of trauma. Eye Movement Desensitisation and Reprocessing (EMDR) is a technique that has been found to be effective in a wide range of traumatic experiences for example war, terrorism, sexual or physical abuse, natural disasters and accidents. It removes painful memories by behavioural techniques. We have a range of Counsellors and Life Coaches to whom we are able to match your needs. They can see you face to face or work with you on the telephone or by Skype. All clients are offered an initial consultation with our Clinical Psychologist or one of our Senior Counsellors to establish the best course of treatment or therapy. We provide counselling to individuals or couples. Some of the therapies on offer are Psychodynamic Person Centred, Gestalt, Integrative, Cognitive Analytic Therapy, Focusing, Cognitive Behavioural Therapy, Brief Solution Focused. Acorn Counselling Service is the social aim of mentis tree CIC. We aim to offer a low cost counselling service for the people of East Anglia. Sessions are recommended weekly and last for 50 minutes. The initial consultation appointment is free and there is a fee of £21.60 inclusive of VAT, per session. We offer short or long term therapy. Acorn Counselling Service also offer placements to counsellors who are in their final diploma year and who wish to accrue counselling hours towards accreditation. Mental Health Consultancy, Business Training and Workshopsmentis tree CIC offers a range of support to organisations to meet their responsibilities under Health & Safety requirements relating to mental health at work. We will help to put in place good working practices, deliver training to managers, staff and HR departments and will offer tailor made one-to one or group sessions. We can provide the following 2 hour workshops at a standard rate of £375 + VAT; Mental Health in the Workplace – this course will look at the current facts about mental health including stigma issues, the employers and employees responsibilities and how it achieves the best outcomes for the sufferer and the organisation, How to Manage Work Related Stress – staff will explore relevant and real scenarios relating to work related stress and on completion of the course will have a greater awareness of the importance of early recognition of stress in the workplace, Anger in the Workplace - the course will look at the facts about Anger as an emotion. Why do people get angry and why do we get angry too? The workshop looks at how we could deal with other peoples anger, expecially when directed at us. We offer a series of stand alone lecture demonstrations that are suitable for CPD (Continuing professional Development) and for public interest. Many of these lectures are followed up with further training opportunities. Lectures are usually during the evening in Bury St Edmunds for one and a half hours and tickets are priced at £12.00. CPD Certificates are issued on the night. Please see our website for details of the current series. 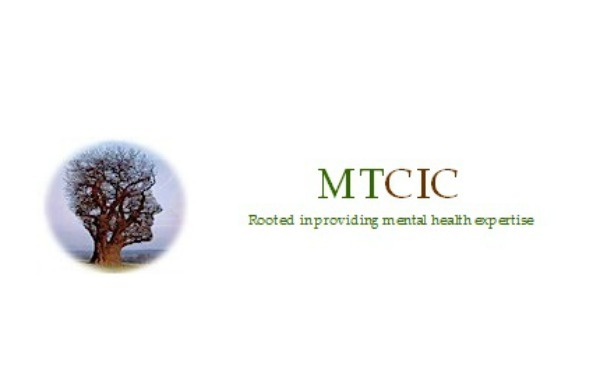 Mentis Tree CIC has offered mental health support and consultancy to an increasingly wide range of organisations and individuals over the last year. Our customer base has increased by 234 this year and we have continued to provide services to the NHS via the partnership that delivers Wellbeing services in Suffolk and Norfolk. Profits from our commercial services has supported our Acorn Counselling service, a low or no cost counselling for the people of East Anglia. We have had a record number of volunteers, some 20+ working with us supporting people across the counties. They have delivered face to face, telephone and online chat support to a wide range of individuals who find themselves in emotional distress. We were supported in this work with a grant from St Edmundsbury Borough Council to fund no cost therapy for those in the most need and without financial means. Within this year, we entered into a partnership with Family Carers Net to increase our online capacity and to build our knowledge of how we can develop in this area, especially with young people. To fund this, we have been working with The Big Issue Invest to secure a loan for development. Over 243 people have had access to low or no cost therapy. We have achieved a recovery rate of over 53% as measured by national tools for depression and anxiety. The national target is 50%. 80% have reported an improvement in their overall wellbeing. 20 volunteers have gained 2000+ clinical hours towards their accreditation to become an accredited therapist. Our added value is that our intervention with our clients has a knock-on effect to all the relationships that person has. If their mental health and wellbeing is improved they are more able to have positive relationships with family and friends. Improve their employment opportunities and to make positive impact on their local community.